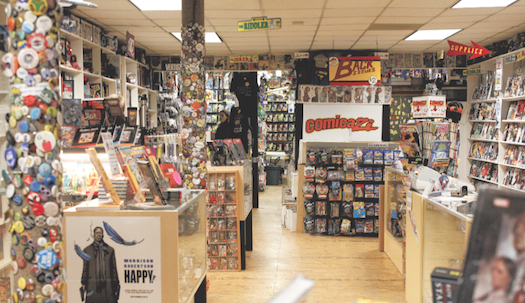 ComedyCazi is hosted monthly at Comicazi, Davis Square's home for comics, graphic novels, toys, and much more! The store is located at 407 Highland Avenue in Somerville, MA 02144. Comicazi has been an institution in Sommerville MA's Davis Square for over a decade, winning Boston Magazine's Best of Boston Readers Poll for Best Comic Shop in multiple years, as well as the 2017 Eisner for the Spirit of Comics Retailler Award.